Spotify has partnered with Japanese home-cinema receiver company Onkyo (the name translates to “sound harmony”), allowing people to listen to streaming music through their living room speakers. 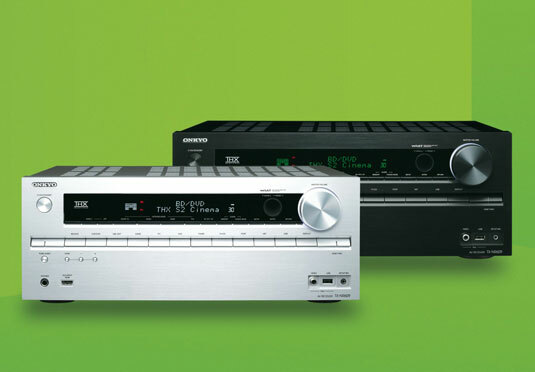 The service currently works with the TX-NR1009 and the TX-NR609 and available for around $600 (£500 or €600) — but technology prices do decrease over time, so double-check the latest deals. You navigate Spotify via your television set and stream CD-quality music from Spotify’s library through your customized home setup. Using the onscreen navigation, you can view your playlists, your starred tracks, and the What’s New page. One limitation of the Spotify application on Onkyo is that there’s no manual search functionality — you’re limited to only browsing the three areas. Sure, the What’s New section offers some diversity and allows exploration, but it’s still limited to whatever Spotify wants to promote that day. Hopefully, the lack of search functionality is addressed in a future update.